Not many people like spiders. When many people see one, they have a reaction from trying to kill the spider to running from it. While arachnophobia, or fear of spiders, is one of the most common specific phobias, not everyone who dislikes spiders is experiencing a phobia. A person with arachnophobia will go to great lengths to ensure that she is not exposed to a spider. 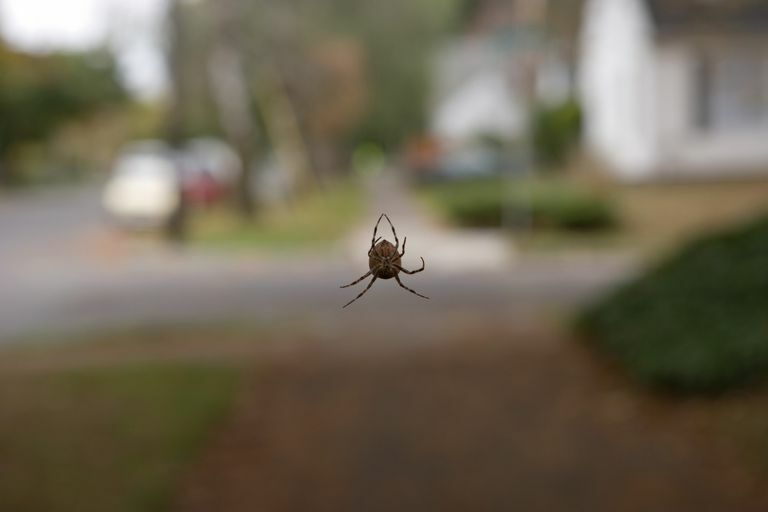 She may be unwilling to participate in activities that carry a heightened risk of exposure to spiders, such as going down into a basement where she once saw spider webs. The person with a phobia has a persistent and excessive fear that interferes with her functioning. If you have arachnophobia, you will probably go out of your way to ensure that you do not come into contact with a spider. If you find a spider in your home, you may react in one of two ways: either screaming and running away or freezing in place. You may be unable to kill or trap the spider yourself, relying on a friend or family member to rescue you from the situation. If you are alone, you may actually leave the house rather than deal with the spider. Eventually, you may find yourself limiting your activities in an effort to avoid spiders. Hiking and camping trips may be difficult or impossible for you. You may even dread visiting the zoo or participating in sports that involve being outside in a field. Experts are still uncertain what causes arachnophobia. There a few theories, though. One of the most common theories was put forth by evolutionary psychologists. This view suggests that arachnophobia was a survival technique for our ancestors. Since most spiders are venomous, although most do not pose a threat to humans, a fear of spiders may have made humans more likely to survive and reproduce. Other psychologists argue that many animals were more likely to pose a threat to ancient humans, from tigers to crocodiles. Yet, phobias of those animals are not that common. Therefore, those psychologists feel that arachnophobia is more likely based on cultural beliefs about the nature of spiders. Cognitive Reframing: This is a method that helps you change the way you look at something so you no longer perceive it as dangerous or stressful. This will eventually change your physical reaction to a triggering stimulus, such as seeing a spider. Systematic Desensitization: This is a method of learning relaxation techniques and then confronting your fears from the least fear-producing to the most. Some newer research has shown that virtual reality therapy, in which the person with the phobia is exposed to virtual representations of spiders, may work as well as the older technique of gradually exposing the client to live spiders. In some cases, antidepressant or anti-anxiety medications may also be used to treat arachnophobia.